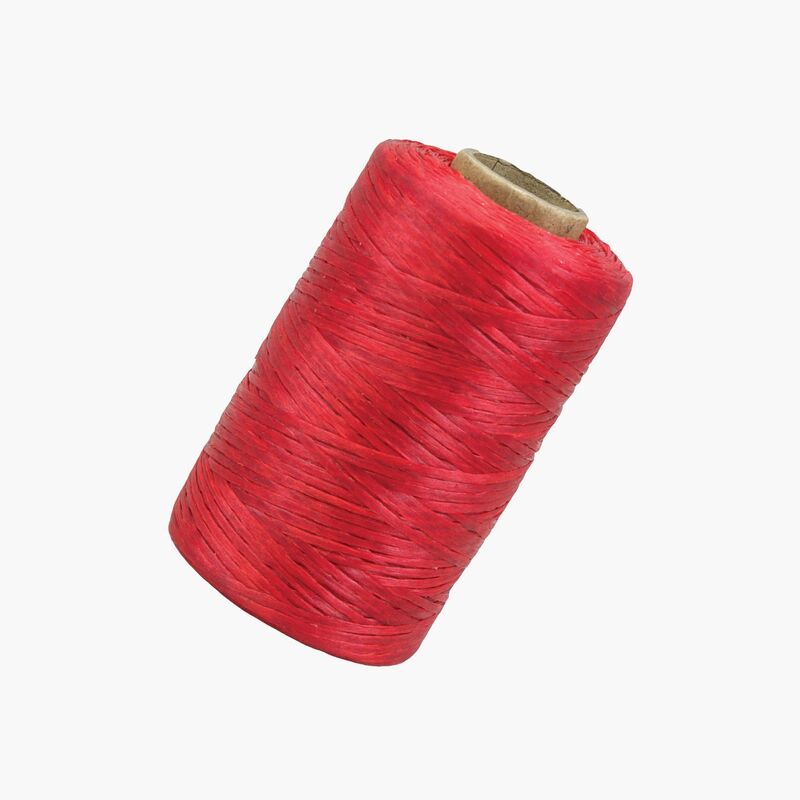 Red artificial sinew . 70 lb test. 8 oz spool - 300 yards of immitation sinew. 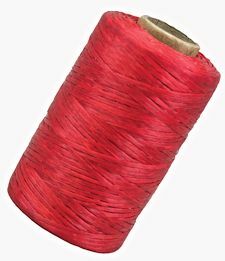 A strong, flat, waxed thread excellent for moccasins, lacing, kits, chokers, etc. It looks similar to the real sinew native americans used for thread. But since real sinew is only about 18-24" long and takes a great deal of time to prepare, this lookalike is much more practical for modern craftwork. This kind of artificial sinew is my personal favorite for craftwork because it splits easily and doesn't tangle as much as some of the other brands when you are working with long pieces. This roll has 300 yards. This sinew can be easily split 5 ways and is heavily waxed, which helps to keep it from fraying and makes it easier to handle.